One of the new (to me) discoveries I made on this trip was the discovery of the Omotesandō (表参道) area. I never expected to love it so much, but I really do. The streets are dotted with lots of fun, quirky little shops, and it’s also an interesting place to people-watch. In addition to visiting the Nezu Museum during this trip, I also discovered two other gems that I would make repeat visits to next year: Number Sugar and the Spiral Market. Number Sugar is a confectionery store that specializes in handmade caramels. They have 10 flavors that are made fresh, on site, daily. However, after exiting the Omotesando subway station, it was a bit of a wild goose chase. On paper (or on Google Maps) the streets of Tokyo are labeled by district (chōme), block (ban) and house numbers (gō). Theoretically, this seems clear enough, until you realize that there are hardly any visible street signs! I’ve been a huge fan of Xiaoqi after my first visit to their Chifeng Store. 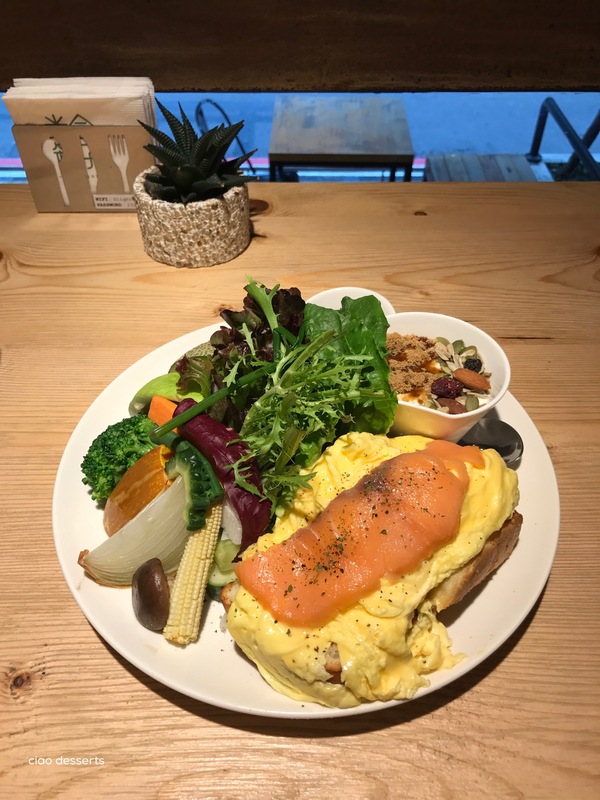 Several favorite items in my home are from there, and at first I was sad that their store in Eslite, Xinyi closed down, but I was pleasantly surprised to find out that they had opened up shop in the Huashan Creative Park. My most recent visit was mainly so I could browse through the Creator’s Market, which showcases the handiwork of several Japanese artists, including kata kata, Chappo, Modern Classics, to name a few. There were also two workshops for silk screening and stamping. You could also get a custom notebook or tote bag handprinted, by artists from Japan. 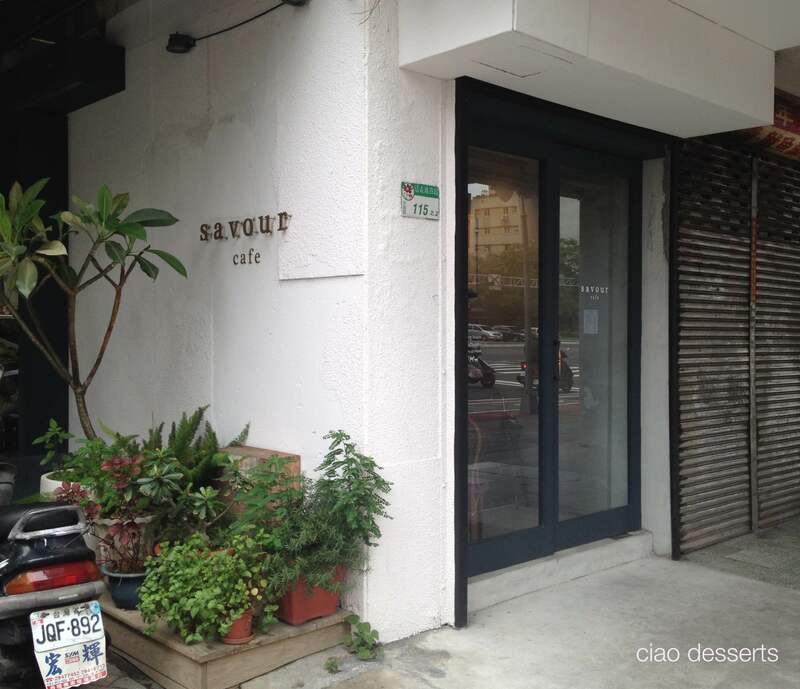 Recently, I stumbled upon this lovely cafe amidst the busy streets of Taipei. It’s located on a busy street corner, and it’s easy to miss because there is only a tiny discreet sign on the side of the building and on the front door. Savour Cafe is the size and shape of a shoebox, but I think that just adds to the coziness factor. The full length windows let in a lot of natural light, and the interior decor is simple, yet full of interesting details. Information: Simply Life Shop A,C&D, G/F, 13-15 Cleveland Street, Fashion Walk, Causeway Bay, Hong Kong |銅鑼灣Fashion Walk加寧街13-15號地下A,C&D舖 | Log-On Fashion Walk, Level 1 Causeway Bay, Hong Kong. In case you are wondering, Log-On is a branch of City Super, which is a chain of grocery stores that sells a combination of local and imported products. I think the City Super chain originated in Hong Kong, and now there are several branches in Taiwan too. In Hong Kong, Log-On houses all the lifestyle, homeware and stationery products and is in a completely separate section from the groceries. In Taipei, there is some stationery in the City Super Stores, but the layout is not very user friendly. It’s sort of squished in the same section as the sweets and personal care products. While it’s convenient enough to do some impulse shopping, while you are popping in to buy milk or something, I think it would be better to have a separate section just for stationery and lifestyle products. Back to the Log-On store in Fashion Walk, which was really very pleasant to shop in. The layout of the store is clear, and there is plenty of space for you to browse. 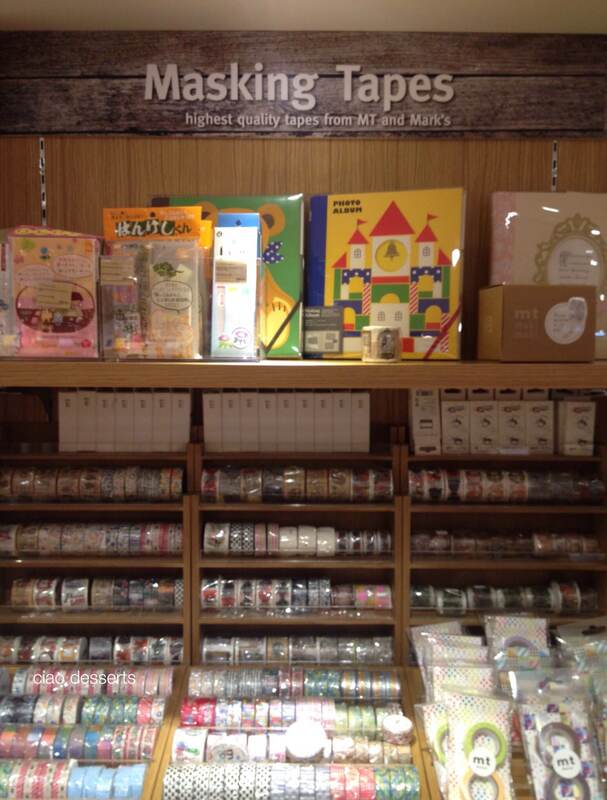 Naturally, the first thing to catch my eye was the washi tape display. 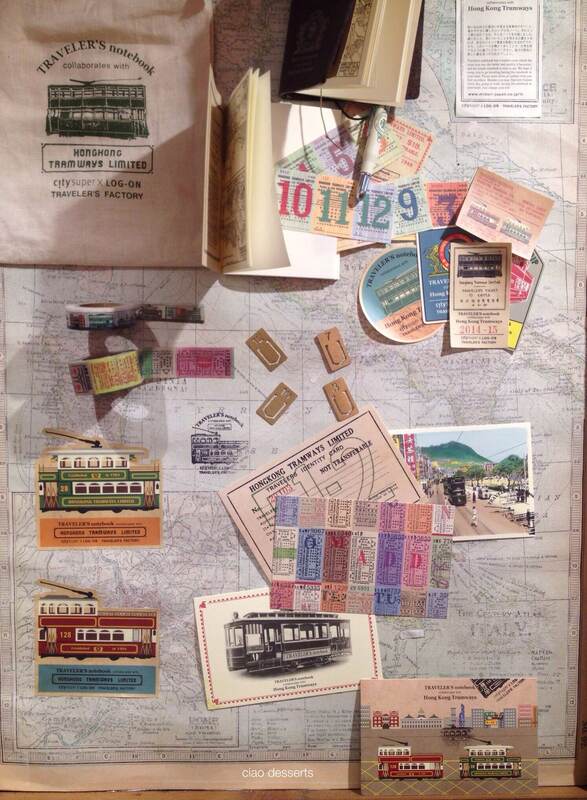 The Traveler’s notebook and Hong Kong Tramways special edition display is located a little further into the store. I seriously wish it was my job to design these bulletin boards. Love everything on this board, and the way it was laid out. So many fun details. My cousin and cousin in-law were in Taiwan for the Chinese New Year holidays a few weeks ago. Since they spend most of their time overseas, I wanted to take them somewhere special for afternoon tea. 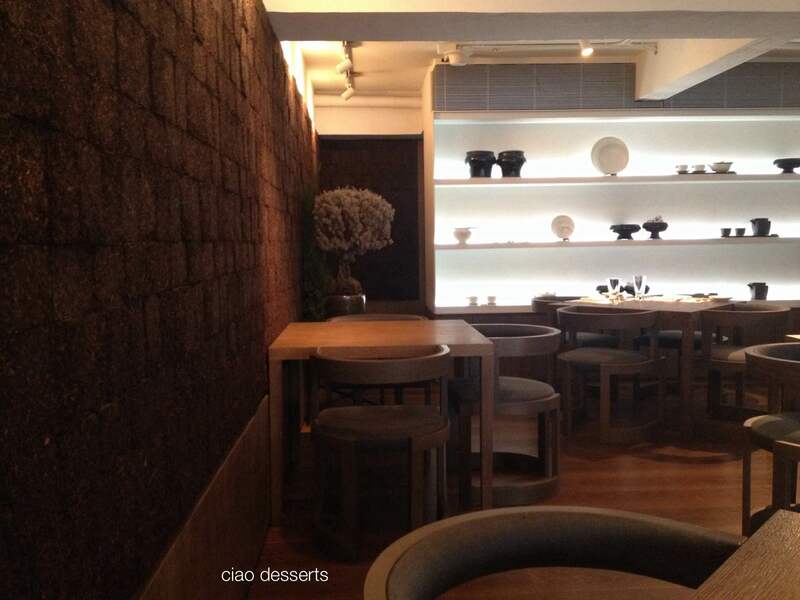 The first place that popped into my mind was Cha Cha Thé, a gorgeous modern-day tea house with lovely decor and teas. I arrived a few minutes early, and had a chance to really soak in the decor and atmosphere. The luxuriously spacious interior consists of mostly subdued earth tones, combined with soft music, the atmosphere was serene and tranquil. You could easily spend pleasant swathes of time here, either in quiet conversation, or just reading on your own. 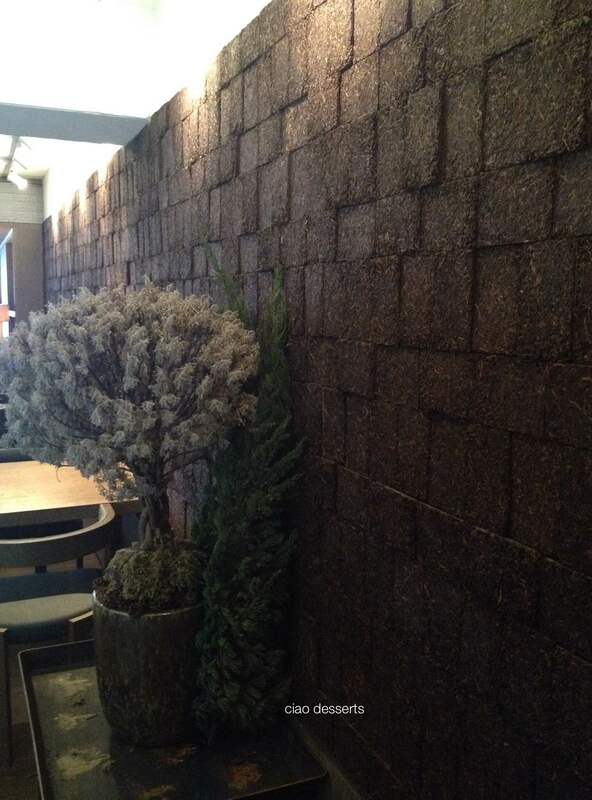 One of the focal points of this room was that there was an entire wall constructed out of bricks of tea. It didn’t smell as fragrant as I imagined it would (yes! I took a quick sniff when I thought no one was looking… Good thing the wall wasn’t made out of chocolate bricks or I would have been seriously tempted to take a bite). I have to mention that the staff at Cha Cha Thé are super nice. They seated me right away, even though I was early and my party at not yet arrived. She also poured me a full glass of water and waited I was sitting comfortably in my chair before placing the menu in front of me. The menu was also beautifully presented~ with a pretty cover and heavy card stock pages and clearly written in both English and Chinese. 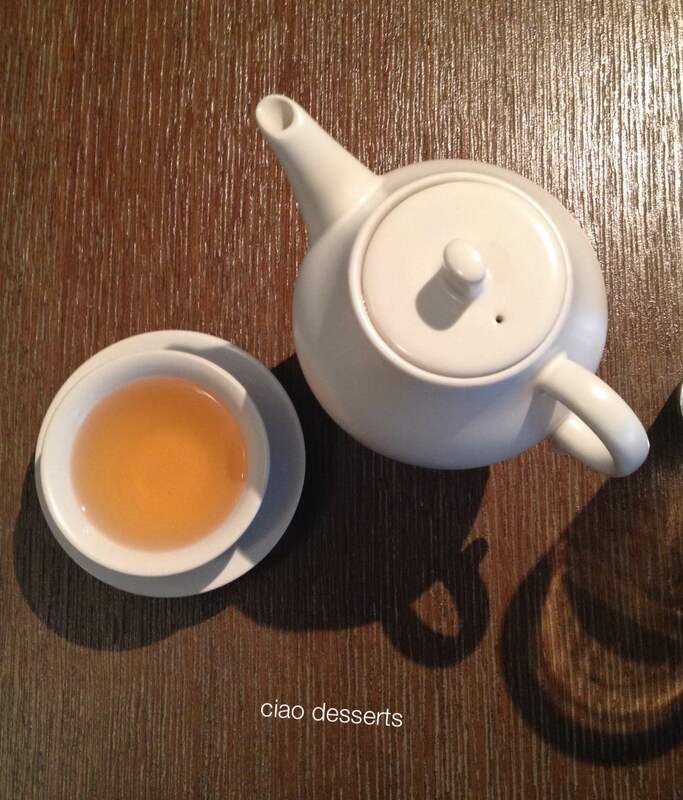 There is a selection of teas listed on the menu are: Pekoe Green Tea, Shihchao Jinshuan, Lightly Roasted Oolong, Beipu Oriental Beauty, Dream of Fruit, Roast Tieguanyin, Darjeeling Black Tea, and the option for iced tea is Exquisite Alishan Oolong. Hello! It’s been a long time since I’ve blogged, not because I’ve had blogger burnout, but because of poor time management. Time management is on the top of my New Year’s resolutions for 2015, alongside with “do more of what I love,” so blogging about food, desserts and kitchenware will all be a big part of my life this year. One of my favorite places of 2014 was the Royal Copenhagen Cafe here in Taipei. Product Discovery: Yong Le Fabric Market Part 3~ The Ribbon Roundup! The upcoming holiday season has reminded me of my love of ribbons. Ribbons have always been a weakness of mine. I have a habit of saving every pretty ribbon that comes my way, and I can never resist a pretty ribbon on sale. There are quite a few places to shop for ribbon in Taipei; you can buy them in bookstores, such as Eslite (the Xinyi and Songyan branches both have nicely curated selections) and of course you can buy them at VVG Chiffon. However, ultimately, the place where you will be most spoiled for selection is in the Yong-Le Market area. Just a quite FYI before I begin: Most of these stores only accept cash, so make sure you have plenty on hand before you arrive. Based on personal experience, I try to have a handful of small bills and change, which makes the buying process a whole lot smoother.